This years works in Ballycomey are continuing apace with the permanent goalposts erected on the second pitch,Ball stop nets will follow shortly , the irrigation system for both pitches is also up and running,dugouts are being upgraded, a safety fence will be erected along the bank of the steam. These and other projects will be completed in the coming months. All these works would be impossible without the continued support of the local community. All roads will lead to Freshford on Sunday, where Erin’s Own will face Dicksboro in the opening round of the league , throw in is at 2pm. 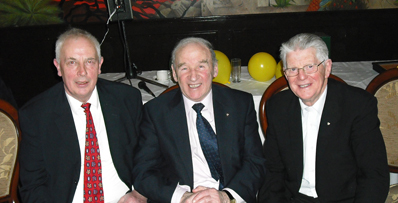 Welcome to the February edition of the newly revamped GAA Club Nuachtlitir. As the GAA enters another busy year the Association would like to thank Clubs for distributing the newsletter to their members and would encourage Clubs to continue to do so. 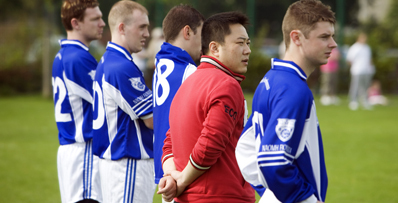 Due to the successful roll-out of email addresses to Clubs in 2009, additional emails will also be provided to Clubs in the form of a PRO and Chairperson account. 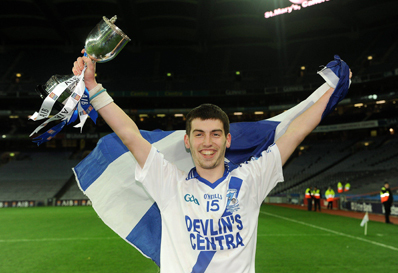 This will help facilitate the newsletter in reaching a larger part of the GAAâs membership. Should you have any feedback on any aspect of what we are trying to do, please feel free to contact our Communications Department throughÂ queries@gaa.ie. Finally, can I wish all of our Club units the very best for 2011. Injury Scheme Benefits and subscriptions will be unchanged for the 2011 season. Registration of teams for the 2011 season should be completed via the online registration system as per the 2010 season. Registration is required to be completed and subscriptions paid by March 31, 2011. Payment should be forwarded direct to SinÃ©ad Quinn, GAA Risk and Insurance Manager, in Croke Park. The only email address recorded in the system should be the official GAA email address,Â secretary.club.county@gaa.ie. The system will generate an invoice when registration is completed. Please note that this invoice will only be sent to the official GAA email address. Non-use of the official GAA email addresses last year contributed to delays in payment of subscriptions. Non-payment of subscriptions will contribute to delays in the processing of claims and leave the injured member awaiting reimbursement for extended periods. In 2009, this contributed to a volume of complaints from members which could have been avoided. Units who experience any difficulty in accessing the system should contact Servasport directly. The GAAâs Medical Scientific & Welfare Committee have updated their positionÂ on cardiac screening following the completion of a two-year research programmeÂ in which nearly 300 GAA players were examined in an attempt to assess theÂ effectiveness of various screening methods. Details of the updated position paper and further information on Cardiac ScreeningÂ can be found atÂ http://www.gaa.ie/medical-and-player-welfare/cardiac-screening/. The GAA Medical, Scientific and Welfare Committee presented some findings fromÂ the GAAâs Injury database in December last. The database has tracked injury dataÂ from 17 inter-county Gaelic Football and 16 inter-county Hurling teams since it wasÂ established in 2007. The study showed that recurrent injuries generally require significantly longerÂ recovery periods and that allowing significant time for recovery and properÂ rehabilitation could have major beneficial effects for players in the long term,Â particularly in relation to hamstring and groin injuries. 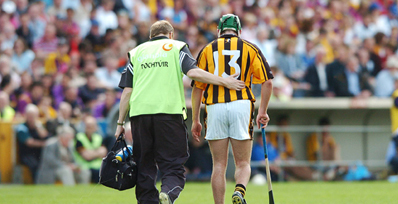 The study showed that typical âreturn to playâ time for a new hamstring injury is 18.5Â days (Football) or 16.5 days (Hurling). This rises to 41 days (Football) and 30.5 daysÂ (Hurling) for a recurrent injury. Arising out of the recent membership data breach, Deloitte has been engaged to undertake a review on behalf of the GAA. This review is ongoing and we expect their report by early February. The PSNI investigation into this matter is also ongoing. For the 2011 registration season, we are asking clubs to continue with registration of players and members on the online system operated by Servasport. However, we have suspended all development on the system, except for essential upgrade work. Servasport has been provided with a short term contract until April to facilitate registration. If clubs, or club members, are concerned about their data being entered into the system, we would ask those clubs to enter a reduced amount of information (i.e. name, part address etc). Please note that any contact information (i.e. phone number, email) is not required for GAA member and player registration. Membership cards will be issued to all members in April. 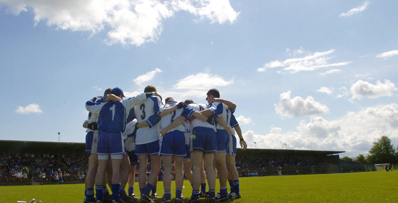 For the full GAA statement seeÂ http://www.gaa.ie/gaa-news-and-videos/news-archive/1012101236-important-notice-on-gaa-membership-database/. For the full Data Commissioner Statement seehttp://www.dataprotection.ie/viewdoc.asp?DocID=1102&m=f. Due to the successful role out of the GAA Google email accounts in 2009 and 2010 and as part of the GAA’s Strategic Vision and Action Plan 2009-2015, the Association has obtained additional Google email accounts which are free to all Clubs. The additional emails are to provide clubs with a PRO and Chairperson account. In order to obtain a Pro or Chairperson account for your Club all you need to do is contact the GAA Email support team. The GAA email support team will create the accounts and forward the details to the club secretary who in turn will pass on the relevant details to the PRO and Chairperson. As the Google email is part of the GAA Google Apps environment your account is much more than just email. It also provides additional applications: Google calendar, Google documents and Google mobile. The GAA has received a number of queries from Clubs who have been approached by unlicensed companies offering to supply playing gear to GAA teams, and claiming it is not in breach of GAA rules to do so. 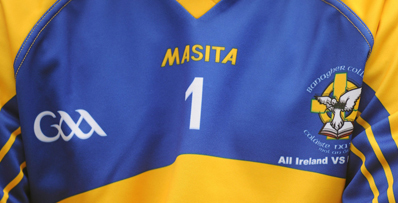 Rule 1.17 of the GAA Treoir OifigiÃºil states that all jerseys used in official matches must display the GAA’s official logo and that any unit or team in breach of this rule shall be liable to disqualification and/or loss of expenses and an individual(s) to a suspension of not less than twenty four weeks or to expulsion. The rescheduled 2010 GAA Games Development Conference took place on Saturday, January 15 after initially being postponed due to the adverse weather conditions before Christmas. Attracting approximately 100 extra delegates than had initially been targeted, over 600 attended from throughout Ireland, Europe and North America. The Conference focussed on issues relating to coaching of children (up to U12/Primary School age) and was a combination of key note and parallel sessions, with practical coaching demonstrations also taking place over the course of the day. Speaking at the Conference, UachtarÃ¡n Chumann LÃºthchleas Gael CriostÃ³ir Ã Cuana congratulated the attendees and stated that âdelegate numbers showed the interest there is for the development of our youth and how this knowledge can assist them in the development of our games and the coaching of young peopleâ. To download each of the presentations made on the day, visithttp://gaa.ie/coaching-and-games-development/conferences/. To obtain a DVD of the Conference, emailÂ gamesdevelopment@gaa.ie, with your name and postal address and a copy of the DVD will be sent to you. Boston College Ireland with funding from the Department of Tourism, Culture and Sport has launched a publicly assessable Irish Sporting Heritage Database which aims to record Irelandâs built sporting heritage, existing and historical, over the past 150 years. No such inventory currently exists. The project will produce an online searchable database for use by the general public. A key part of the continued success of the project will be for members of sporting organisations to send in additional information so that contemporary and historical images of sporting sites across Ireland can be recorded. The Association would encourage all members to contribute information to the database to ensure that it has comprehensive GAA information and guarantee the long term legacy of this worthwhile project. For more information, please visitwww.irishsportingheritage.com. Thomastown United GAA, Kilkenny; Begley Bourke, Limerick; Francis Scallon, Fermanagh; Sara McInerney, Dublin; John Bresnan, Dublin; St Marys GAA, Tipperary; Basil & Denis OâMeara, Tipperary; Athleague GAA, Roscommon; Edward OâDwyer, Dublin; Ballymartin GAA, Down; Martin Bolger, Waterford; Easkey GAA, Sligo. 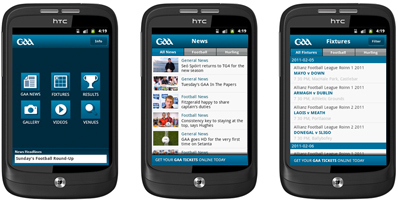 The GAA recently launched an official Android App. 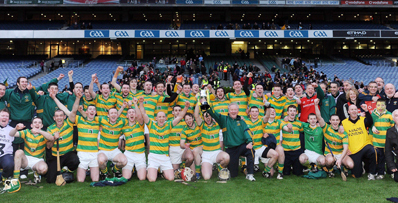 It contains the latest GAA news, fixtures, results, image galleries, videos and venue information. You can download the app for free by visiting the App Market on your Android Smartphone and searching for âOfficial GAAâ. Further details and download information can be found athttps://market.android.com/details?id=ie.ebow.gaa. 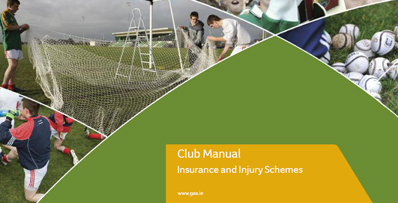 We hope this will keep all GAA members and supporters up to date while on the move! 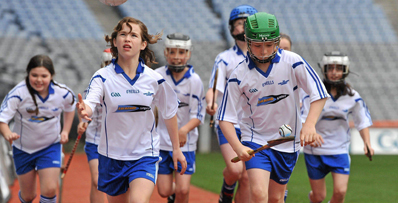 The January edition of the GAA Social Initiative was recently sent to participating Clubs. The GAA would like to thank its members for the positive response to the first Social Initiative Newsletter in December. To view a copy of the January edition, please clickÂ here. WINNING NUMBERS 1, 2, 6, 16. JOAN BROPHY c/o POST OFFICE, BIDDY BYRNE c/o J. CURRAN, MRS FARRELL c/o J. CURRAN, DEL OâROURKE c/o D. O’ROURKE, JACK MORRISSEY c/o DILLONS. NEXT WEEKS JACKPOT IS â¬4850.00. DRAW IS Â IN DILLONS. Coinciding with the clocks going forward last week end, all teams from under-6 to senior level have sprung into action. 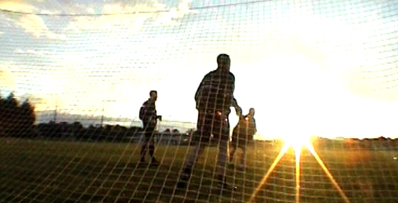 Training for U6 to U10s takes place in Ballycomey on Thursdays from 6:30pm. The Primary school team had an impressive win over Tullogher-Rosbercon on Wednesday. On Thursday our U-16s ran a strong Dicksboro team close in a league tie played in Ballycomey.The Juniors played Lisdowney on Saturday and the Junior B hurlers played Conahy on Sunday. GAA President Christy Cooney was in Ballycomey last Wednesday Â to met a group of club members made up of players, coaches, parents, supporters and committee members as part of the Ag Eisteacht programme,accompanied by GAA communications manager Alan Milton.Upon becoming President, he has undertaking to visit two clubs in each county, to listen to members views and suggestions on the running of the organisation. Mr Cooney open proceedings by outlining the various initatives currently been undertaking by the association. He was high in his praise for the works completed in Ballycomey and also that it has been done without placing a finincial burden on the club. The floor was then opened for a question & answer session, the president gave detailed answers to all matters raised. A piece of Tyrone Crystal to mark the occasion was presented to the club and club chairman Michael Owens presented a piece of locally produced craft work to the president. Refreshments were provided for all afterwards.